Beautifully crafted in solid acacia wood with a cushioned fabric seat, the Hendrix Dining Chair brings the balance of nature back into your home. 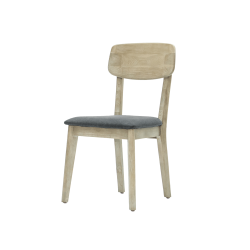 This dining chair has a solid wood backrest and frame with smooth sand blast finishing, and a seat that is upholstered in 100% polyester fabric for easy maintenance. 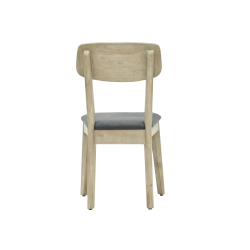 Match the Hendrix Dining Chair with the Hendrix Dining Table and Bench for a complete look. Wipe with wood or fabric cleaner using clean soft cloth. Keep dry and wipe away spills quickly to prevent water marks. Professional cleaning advised for stains.